The Double Buggy RaceCase Hauler Bag is designed specifically for 1/10th scale buggies. You can stow two 1/10th scale 2wd or 4wd buggies in the main compartment with the tires and wing mounted, or with the included optional drawers, you can choose any combination of storage options. 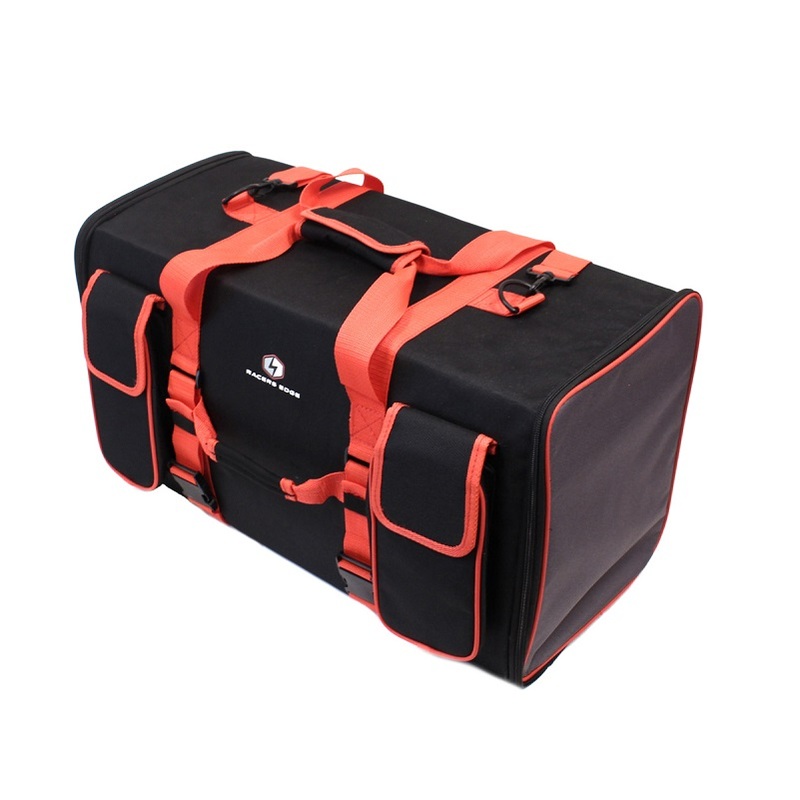 The opposite end of the bag has two small shelves you can choose to install for organizing tires and parts, or leave the dividers out to create a perfect spot for your transmitter. The removable tool tray can stow nine drivers snug inside elastic loops, and can be easily taken out of the bag to go to your bench or pit space at the track. There are also two external pockets with tough zippers for extra storage, and buckles for securing your rolled up pit mat. Reinforced carry handles in two locations offer comfortable carrying positions no matter what you're transporting. The included shoulder strap also offers a hands free carrying position for the ultimate in comfort and convenience. All these features make The Double Buggy RaceCase the Ultimate Transport Bag! Extra storage for tires, parts, etc.